The West Bengal police have slapped charges under UAPA or Unlawful Activities Prevention Act against Gorkha Janmukti Morcha or GJM chief Bimal Gurung and two others. The local police station may have been the target of the bomb hurled at about 10:45pm. Kalimpong: One person was allegedly killed Saturday night in a blast at Kalimpong, the district adjoining Darjeeling in north Bengal. At least three people -- possibly policemen -- are also reported to be injured. The local police station may have been the target of the bomb which was hurled at about 10:45 pm. 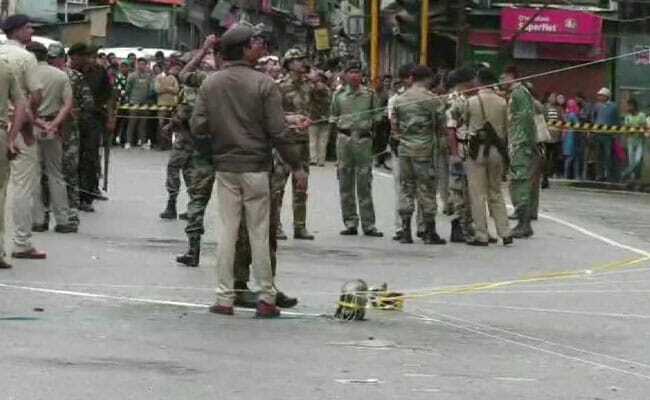 The blast comes almost 24 hours after a suspected IED explosion in the heart of Darjeeling town on Friday night. Locals claimed the blast was so strong that the "hills shook". "At around 12.05 am, there was a high intensity blast. We are enquiring the matter. We prima facie feel it was an IED blast and some special teams are coming in from Siliguri. We have technical and other inputs on the blast that took place in Darjeeling last night. The area was empty and there were no casualties," Superintendent of Police, Darjeeling, Akhilesh Chaturvedi said. Meanwhile, Bimal Gurung has demanded an NIA probe into the blasts. "Every Gorkha today is worried and wondering where we are headed," Mr Gurung said in a statement. The GJM leader also shot a letter to Union Home Minister Rajnath Singh requesting him to constitute a high-level inquiry committee to probe the matter. "Since the blast is a national security issue, we kindly request you to constitute a high level security committee immediately, to be comprised of National Investigate Agency, with a Supreme Court judge monitoring the entire investigations, Mr Gurung said in the letter addressed to Mr Singh. Mr Gurung also requested the home minister to expedite talks on the Gorkhaland issue. But the battle lines seem to have been drawn with West Bengal Tourism Minister Gautam Deb demanding immediate arrest of Bimal Gurung.